Broccoli Cauliflower Tetrazzini is a creamy, vegetarian pasta casserole with lots of Parmesan cheese flavor and a buttery Panko crumb topping. 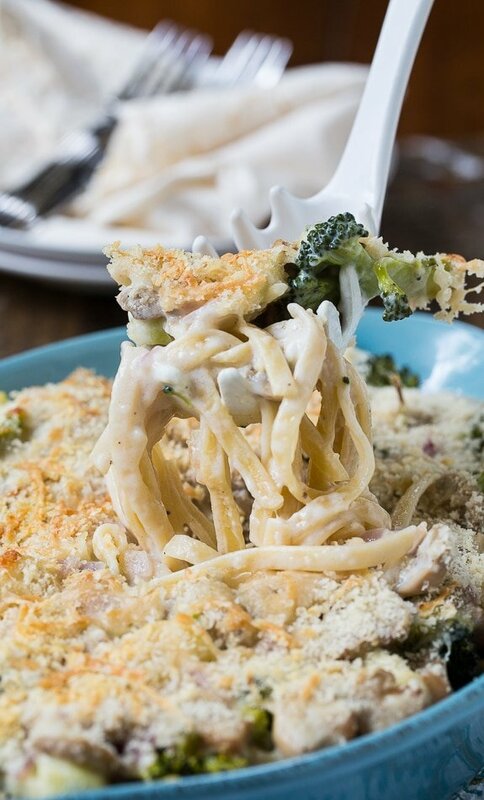 Chicken (or Turkey after Thanksgiving) Tetrazzini is always a family favorite of ours. But since my daughter became vegetarian a few years ago, I had to learn ways to cook some of her favorite foods without the meat. 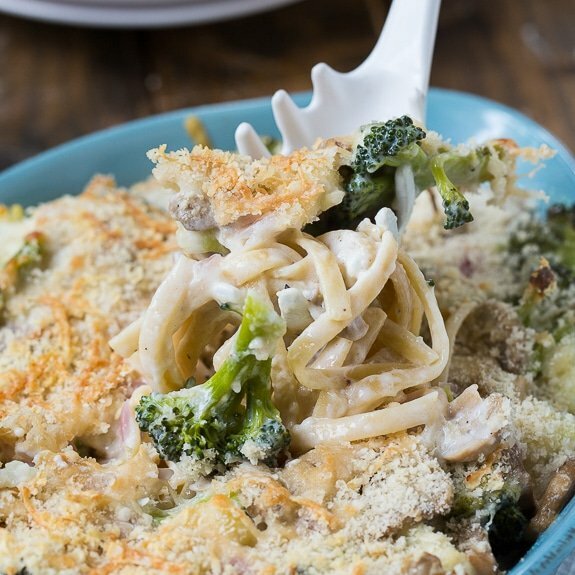 Broccoli and Cauliflower Tetrazzini is every bit as comforting and delicious as Chicken Tetrazzini but can be enjoyed by vegetarians too. Broccoli and cauliflower are two of my favorite vegetables. I know there are many people who don’t like cauliflower and if that is the case, just use all broccoli. Or all cauliflower if you’re not a fan of broccoli. Carrots would also be really good in this dish. There aren’t many people who can resist a creamy pasta dish with Parmesan cheese and a crunchy bread crumb topping. 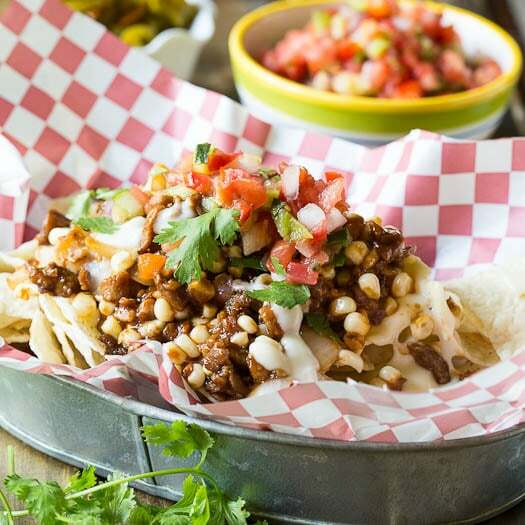 Even the meat lover in your family will be a fan of this meal. I use fettuccine, but linguine or spaghetti work well too. You could even use farfalle, shells, or penne. Steam broccoli and cauliflower until just tender. Sprinkle with a little salt. Heat oven to 375 degrees a grease a casserole dish. In a large pan, melt butter over medium heat. Add flour and cook and stir for 1 minute. Gradually whisk in milk. Simmer for 2-3 minutes to thicken. Remove pan from heat and stir in 2/3 cup Parmesan cheese, mushrooms, salt and pepper. Add cooked fettuccine and broccoli and cauliflower to pan and stir to mix in. Transfer to prepared casserole dish and top with Panko crumbs and 2 tablespoons grated Parmesan cheese. Place in oven for 25 to 30 minutes, until hot and bubbly. This entry was posted in Dinner, Vegetarian and tagged broccoli, casserole, cauliflower, pasta, vegetarian. Bookmark the permalink. Love this, will try using zucchini spiralized into linguine so it is gluten free too. So I always LOVED the Tuna Helper tuna tetrazzini–go-to meal in college. Cannot eat that processed junk anymore, but this reminded me of it and looks awesome! Going to try to work it into the dinner planning in the next couple weeks. 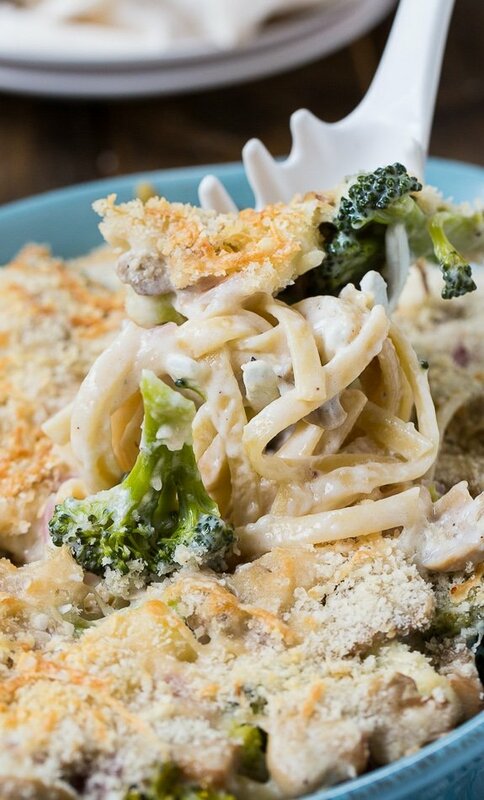 I love that you made a veggie tetrazzzini. Broccoli and cauliflower are my favorite! 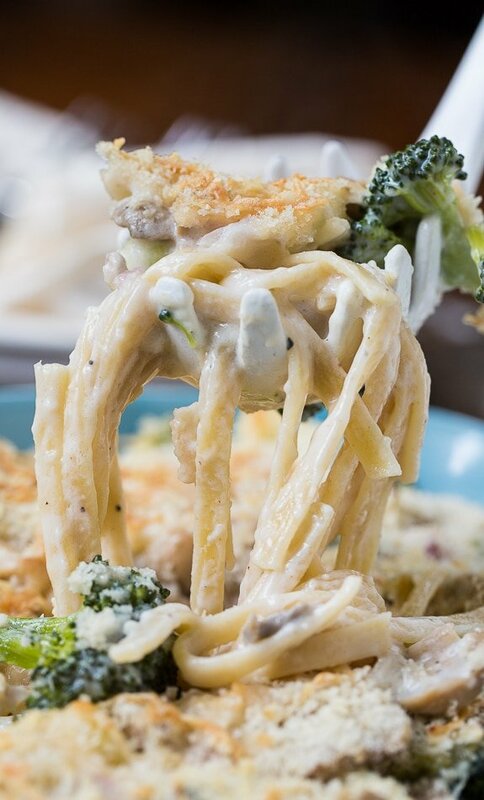 I can never resist creamy pasta dish especially if it looks this amazing! This looks mouthwatering, I love that crispy topping SO much! I have been all about the broccoli and cauliflower lately – so I know I would love this! It sounds awesome! 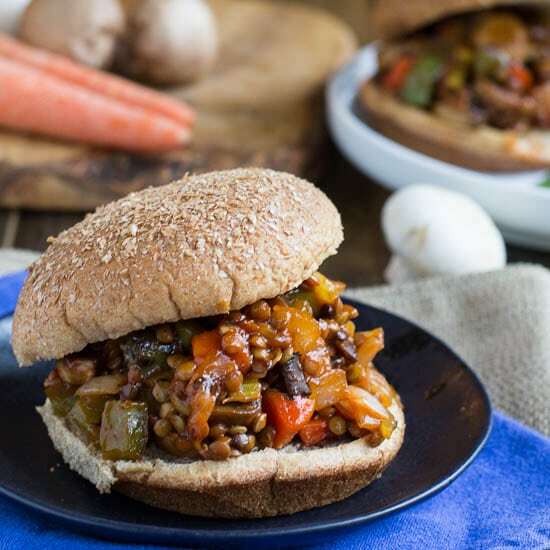 I love how you took a classic meal and made it with veggies, Christin! What a great idea to add in broccoli and cauliflower. This looks so comforting! 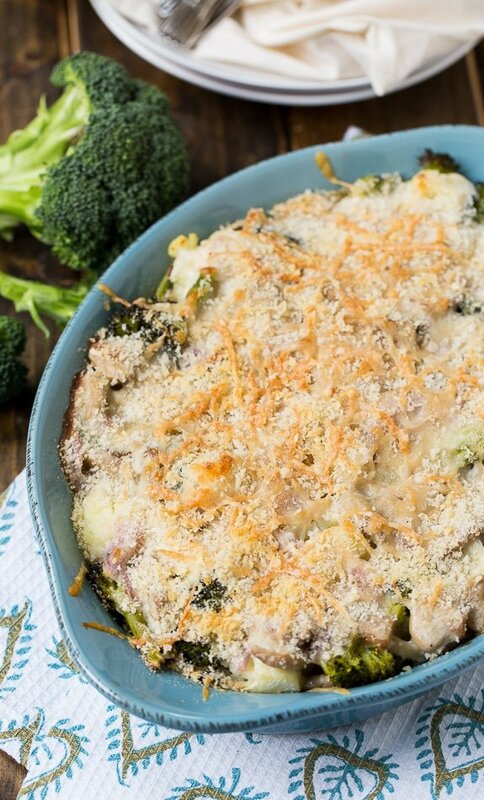 What a delicious way to enjoy broccoli and cauliflower! That crispy topping looks amazing!